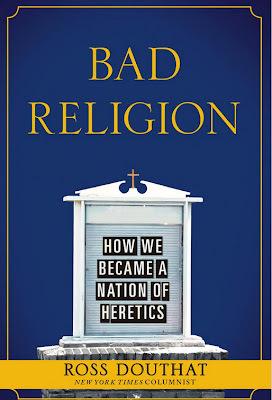 Nathanael King: "Spiritual, But Not Religious"
In his recent book, Bad Religion: How We Became a Nation of Heretics, Ross Douthat exposes the spiritual roots of America's political, economic, and moral decline. He argues that the problem is not too much religion (as the atheists would argue), nor is it intolerant secularism (as many Christians believe). Instead, the problem is bad religion: the slow-motion collapse of traditional faith and the rise of a variety of pseudo-Christianities that stroke our egos, indulge our follies, and encourage our worst impulses. All organized religions offer only partial glimpses of God (or Light or Being). Thus, we must seek to experience God through feeling rather than reason, experience rather than dogma, a direct encounter rather than a hand-me-down revelation. As Neil Donald Walsch writes in his book, Conversations with God, "Listen to your feelings. Listen to your Highest Thought .... Whenever any of these differ from what you've been told by your teachers, or read in your books, forget the words." God is everywhere and within everything--especially within you. You can encounter God by getting in touch with the divinity that resides inside your very self and soul. At the climax of his book The Alchemist, Paul Coelho writes: "The boy reached through the Soul of the World, and saw that it was a part of the Soul of God. And he saw that the Soul of God was his own soul." Sin and evil are largely illusions that will ultimately be reconciled rather than defeated. There is no hell save the one we make for ourselves on Earth, no final separation from the Being that all our beings rest within. Elizabeth Gilbert assures her readers, "There is no such thing in this universe as hell, except maybe in our own terrified minds." Perfect happiness is available right now. Heaven is on earth. Eternity can be entered at any moment, by any person who understands how to let go, let God, and let themselves be washed away in love. James Redfield writes, "At some point everyone will vibrate highly enough so that we can walk into heaven, in our same form." 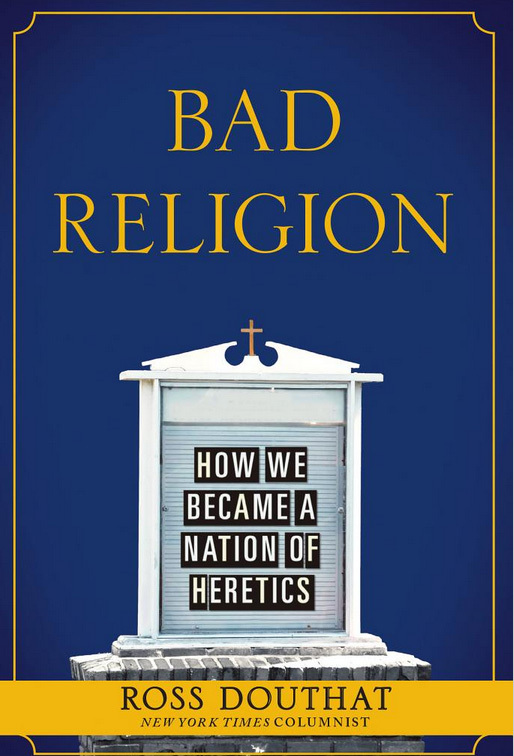 These four beliefs compose the core of the bad religion that has been so fashionable as of late and, according to Douthat, is the core of America's spiritual woes. I suspect that many well-meaning Christians might even be tempted to believe various forms of these beliefs. I think of the popular Christian authors Rob Bell, Brian McLaren,William P. Young (author of The Shack), and Donald Miller (author of Blue Like Jazz: Nonreligious Thoughts on Christian Spirituality), each of which espouse one or more of these beliefs in a Christianized form. He warns the Colossian believers to not be taken "...captive by philosophy and empty deceit, according to human tradition, according to the elemental spirits of the world, and not according to Christ" (Colossians 2:8). And he reminds them to hold fast to Christ, not self-made religion (Colossians 2:19, 23). And he reminds them to hold fast to Christ in connection with Christ's body--the local church (Colossians 2:19). We desperately need this reminder of Christ's supremacy and need to resolve to be faithful to Him no matter the cultural pressure. "Therefore, my beloved brothers, be steadfast, immovable, always abounding in the work of the Lord, knowing that in the Lord your labor is not in vain" (1 Corinthians 15:58).